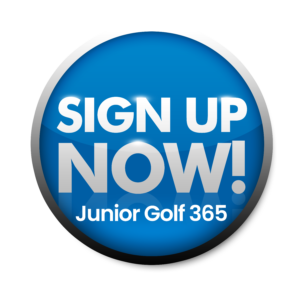 Junior Golf 365 Play Skills… A junior Golfer must play in our ALPHA & CHALLENGE Junior Golf 365 to advance through our Playing Levels. 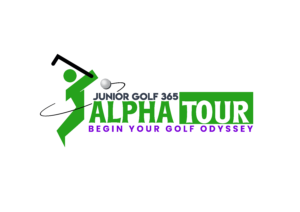 Alpha Tour Participants will play 9 holes (18 for Levels 5 – 7 ) on an afternoon with a parent or grandparent caddying. This monthly event gives juniors the opportunity to compete and learn on the course. Shoot 37 or lower – A GOLD Star Pin and Advances to the next PLAYING SKILL Step within Junior Golf 365. The Mission is complete…LEVEL UP! When the Junior completes the Level 1 Mission…their next tournament will be from a different yardage with the same target score…( up til Level 4 ) The junior then advances to our CHALLENGE Tour and now plays 18 holes with new target scores to LEVEL UP! As your child advances through the Junior Golf 365 system, they advance in our programming and receive additional coaching time, skill development, and mentoring. FORMAT: Individual Stroke Play – play the ball as it lies. *the ball maybe teed up on the Par 3’s only – EXCEPT for Girls 10 & Under and BOYS 9 & Under may tee up on every hole. Building the Athlete First, Teaching Golf Skills in a Playful Game Based Learning Atmosphere & Creating a Love for the Game is the North Star of our program. A professional coaching influence combined with effective training, practice, and competition is paramount in this process….But most important… Enjoy the Play! The Next Step … Learning HOW to COMPETE! CHALLENGE Tour Players will PLAY 18 Holes and keep stats – which will be recorded in the SPIDER APP.